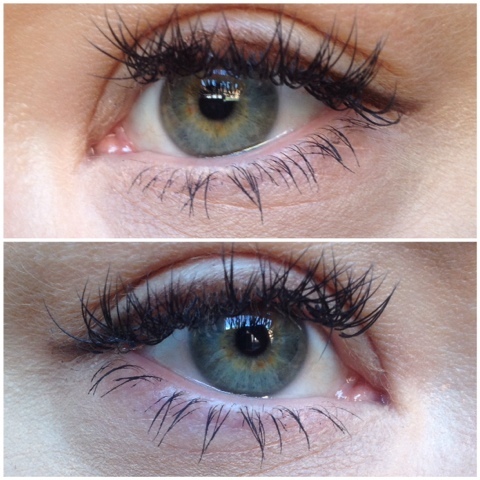 Another High End vs High Street post for you today and its all about bottom lash mascara. I know not everybody will feel the need to own two different types of mascara, one for the top and one for the bottom, but I find they really work at preventing the dreaded panda eye look. I LOVE the Clinique Bottom Lash Mascara and it was one of my best finds last year, since then I have repurchased it no less than 3 times and found my bottom lashes just aren't the same without it. But at £12.00 a pop ( not extortionate I know, but still pricey) I'm finding it's starting to lose its appeal a bit as the formula tends to dry up quickly and the tube don't last very long. 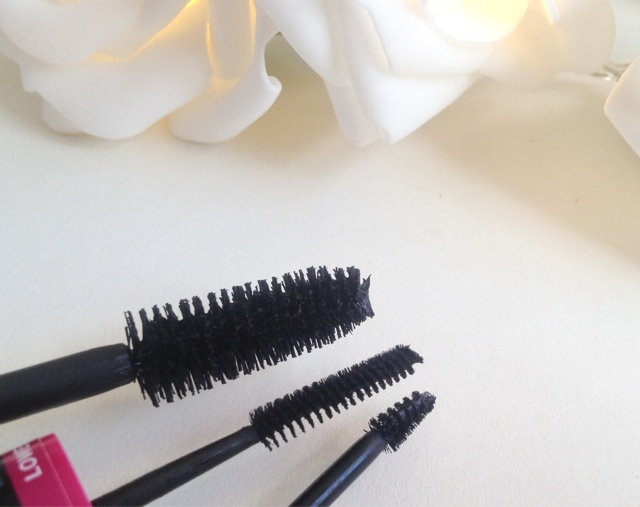 I know we're all meant to throw our mascaras away after a few months, but really who does that? I don't have many lashes on the bottom and thought the tube would last a little longer than it does. With this in mind I set out to try something different and see if the high street could offer a version that would live up to its high end counterpart. Maybelline Big Eyes is a double ended mascara, one wand for the top lashes and another smaller wand for the bottom. On this occasion I am only interested in the bottom lash and to see if the wand and formula were as good as Clinique's Bottom Lash. Both wands are smaller than your average mascara wand, Maybelline's is thinner with closely packed bristles meaning I can coat every lash with ease without transferring the mascara onto my skin. Clinique's wand is a lot smaller still, almost 4 times smaller then the average mascara wand both in length and width. This wand again makes applying the mascara a breeze, but out of the two I think I prefer the Maybelline's wand. Its slightly longer so I can apply the mascara quicker as it covers more surface area, it defines and cover them just as well as Clinique, if not slightly better in my opinion. Both formula's mimic each other perfectly, both separating, defining and lasting all day without smudging or flaking (even though I do think the Clinique wins by a hares whiskers) . Out if the two of them I think again I prefer Maybelline's mascara as I find it doesn't dry up as quickly as the Clinique, this is one of my main problems with this mascara so I'm happy to say I don't find it the case with the high street option. I know these are not poles apart on price, Clinique at £13.00 and Maybelline at £8.99 ( can normally be found on offer in Boots or Superdrug) but you do have to remember you're getting 2 mascaras for the price of one with the High Street option so saving money again, this makes it a bargain compared to Clinique in my opinion. I never thought I would find something that would rival my beloved Clinique Bottom Lash mascara, I've loved it ever since I discovered it and didn't really think I could find another product just as good and especially on the high street. 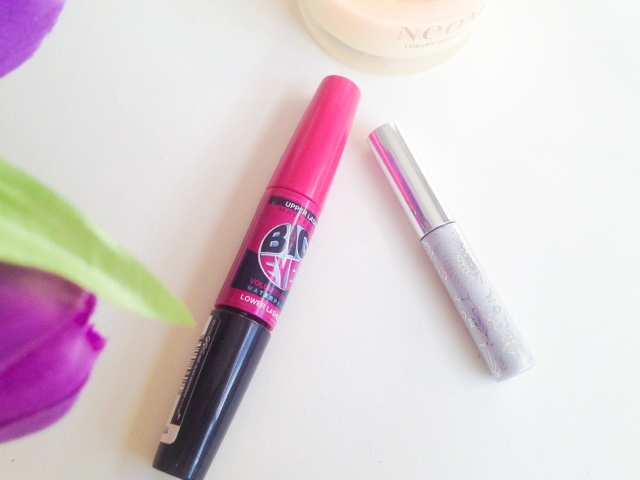 Since purchasing Maybelline's Big Eyes I haven't reached for the higher end mascara at all, it really has impressed me and I think it's a big fat thumbs up for the high street on this occasion! What is your favourite bottom lash mascara? Do you use two mascara's for your lashes or do you find that one can do both jobs just as well?